Here's a link to an appearance on JvonD's Boulder Vidcast show. I talked a little bit about climbing on Flag and aspiring to do V13. It was fun and relaxed but always remember to turn off your cellphone in the studio! :) Thanks Mike Brooks and JvonD! I also was quoted in a recent issue of Climbing, in a column about grading by Matt Samet. I stand by my sentiments about obsessing with downgrading. It doesn't help focus on what matters which is improvement and attitude. 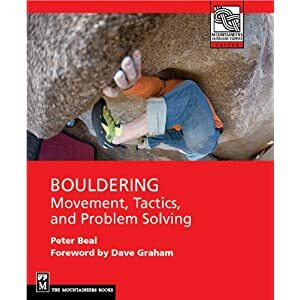 Also read my short essay for Front Range Bouldering called "Surroundings." The wall in the basement is taking shape and should be climbable soon. Have you found a local place where you can buy bulk T-Nuts?? I would recommend going to metoliusclimbing.com and checking their climbing wall stuff. Climbingholds.com is a little cheaper for t-nuts. Finding t-nuts retail is very difficult and wholesalers do not generally sell to the public. In any event they usually sell in batches of 1000 plus which is more than most home walls will ever use. The fastener superstore has them for roughly half the climbing outlet price but the minimum order is 500 and the shipping adds another 10 dollars so $70 for 500.